Scientific name of the yeast which changes the sugar of grape juice into the alcohol of wine. The outer portion of woody (xylem) tissue, located just inside the cambium and just outside the heartwood. 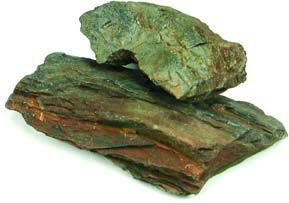 Sapwood forms the primary highway for transmission of water and minerals from the roots up through the vine. Treasure chamber the growers personnal cellar of treasures. Sparkling wine though a lesser wine than Sekt. German word for castle; on a wine label it is equivalent to the French word "Chateau." Term used on wine labels in Germany to indicate that the wine was bottled on the estate (Castle). It is equivalent to estate bottled. A rosé wine that's a specialty in Germany's Württemberg region. It's made from a mix of red and white wine. French term meaning "dry." (However, on Champagne labels it means that the wine is sweet). Just one of the many pitfalls awaiting the unsuspecting initiate to the world of fine wines. Any fermentation which happens after the primary (yeast) fermentation has been completed. Malo-lactic is a secondary fermentation which occurs in most red, and some white, still wines. Another type of secondary is the yeast fermentation which changes still wine into sparkling wine. French Hybridizer who produced hundreds of new hybrid wine varieties, hoping to find some which could grow on their own roots in Phylloxera infested soils, while producing the traditional flavours and aging potentials in their wines of historical European varieties. Many of his hybrids are in commercial use today, although none fully met the standards he was looking for. The fixing of tiny, newly pollenated berries to the stem of a vine shoot. Without set, the pistil (containing an ovary) would simply dry up and fall off. But after set, it becomes more firmly attached to its stem and develops into a grape berry. "French Hybrid" grape variety grown mostly in France and in England. The wines can be quite good -- or mediocre. The best British table wine I ever tasted was a Seyval Blanc which was grown about two hours south of London! French hybridizer who has produced a large number of new hybrid varieties, looking for Phylloxera resistance coupled with fine wine quality. Many of his new hybrids are in commercial production today. white Grape variety developed from a cross between Sylvaner and Riesling. Extensively planted in the Rheinhessen, Rheinpfalz and Franconia regions of Germany. Used to produce full-bodied, aromatic white wines that can reach "Auslese" Prädikat standard in the better vintages. This is a new variety bred at the Landesanstalt fuer Rebenzuechtung at Alzey in 1916 by Georg Scheu. It carries the name of the former director who led this breeding station for many years. Scheurebe is a very valuable variety that can only be recommended for the best Locations .The variety is particularly well suited to the production of excellent quality wines with attributes.The wines express a refined bouquet similar to currants with a Riesling-like acid. The wines have a full body and a pronounced character. There are about 3,000 ha planted. It has synonym name Alzey S. 88. In Austria it is known as Samling 88. It has good resistance to frost (to -5 deg. F. approx. -20 C.) and usually ripens in mid-late season (mid-September to October). Extensively planted in the Rheinhessen, Rheinpfalz and Franconia regions of Germany. Currently. Tolerant to lime soils and has good resistance to Chlorosis. If fruit is unable to mature, the wine quality will be of poor quality with an aroma described as similar to "cat urine". Normally produces full-bodied, aromatic white wines with good acid content that can reach "Auslese" Prädikat standard in the better vintage years and has long life in the bottle; i.e. a 55 year-old experimental version from 1945 was recently (2000 AD) discovered and recorked. (red grape) Known as Trollinger in south Germany. A variant found in the Trentino-Aldo region of Italy is known as Schiava Gentile. (white grape) Has synonym names of Rosa Muskat and Geisenheim 15-114 A pink coloured crossing of Pinot Noir X (Chasselas rose X Muscat of Hamburg). Created in Geisenheim in 1979 there are about 60 ha planted. (red grape) another name for the Pinot Meunier. Used to produce schillerwein and also known as Mullerrebe. Sparkling wine (in German, Sekt or Schaumwein) is extremely popular in Germany. sparkling wine is produced by means of a second fermentation. A mixture of sugar and yeast (the tirage) is added to the base wines (the cuvée) so that a second fermentation will occur. The carbon dioxide naturally produced during fermentation remains in the wine and is the source of its characteristic feature, bubbles. 2The transfer method, whereby the second fermentation takes place in the bottle, the contents are transferred under pressure into a tank, separated from the yeast deposit through filtration and then re-bottled. 3The tank or bulk method, also called the Charmat method , whereby the second fermentation takes place in bulk pressure tanks, lees contact is minimal and the wine is bottled under pressure. This method saves time and money and is well-suited to the volume production of commercial wineries. The drying up and falling of unsuccessfully pollenated pistils leaving a nearly bare skeleton rachis (with few berries attached) where a fully populated cluster should be. The elongating, green, growing vine stem which holds leaves, tendrils, flower or fruit clusters and developing buds. A few small, seedless grapes found in an otherwise normal bunch of wine grapes. The cause is improper fertilization during the blooming period. (white grape) Grape derived from cross between Gewurztraminer and the Madeline angevine. Grown in limited amounts in Germany and used as small percentage amounts in blends, can achieve high ripeness levels. Originally created at Alzey the grape can reach high ripeness levels. with pronounced flavours of citrus and stone fruits, and a firm mineral structure. 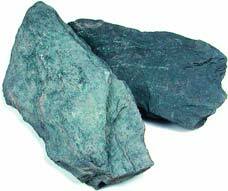 The Devonian slate of the Mosel valley comes in a range of colours because of differing mineral content. These differences, in conjunction with the various vineyard climates and soil compositions, give distinctive flavours to the wines. 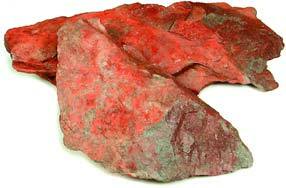 The complex, well-weathered red slate of Erdener Prälat produces majestic, multi faceted wines with stunning depth and concentration. content in the soil here gives the vineyard its vivid colour. 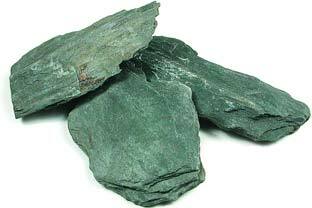 There is virtually no topsoil in Wehlen, only broken and weathered shards of the purest blue slate in the Mosel valley. This purity is reflected in the wines. Legal term for a wine that is naturally low in alcohol. Also a term for the taste of a wine which is low in acidity, flavour, body and which tastes somewhat sweet. An expert in wine in the restaurant.this very knowledgeable person is available for the correct service of wine but also if called upon can give unbiased advice on wine and wine and food combinations. 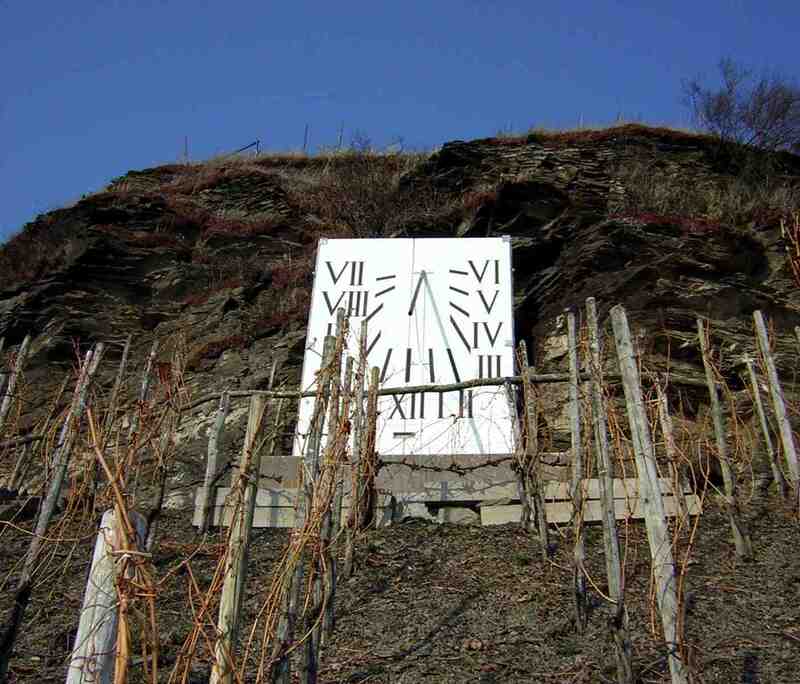 A sundial often very large on steep vineyard sites. German word meaning "late harvest." These wines are usually sweet, high in quality and more expensive than ordinary table wines. Usually worth the price.Not allways sweet a spatlese can be vinified dry , the term was introduced in 1971 with the German wine law. methode champenoise or bottle fermented, charmat, or by artificial carbonation. In methode champenoise, the wine may remain in the original bottle (fermented in THIS bottle)" or transferred to other bottles, either larger or smaller, after bottle fermentation (fermented in THE bottle). Federal sparkling wine taxes differ for these, depending upon which method is used. This variable tax rate shows up as higher retail prices for wines on which labels is stated "fermented in this bottle", medium prices for transfer process and the lowest for Charmat process (tank fermented) sparkling wines. As a practical matter over the years, very few wineries have bothered to use direct carbonation, since they believe the tax is too high for a product that the public would feel is an imitation. 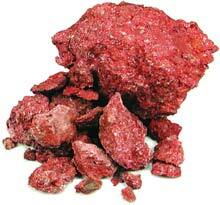 (red grape) Has many synonym names including Zierfandler in Austria, Cirfandli in Hungary and Zirifahnler. White-wine producing variety widely grown in Austria and often blended with Rotgipfler grape wine to make the popular "Gumpoldskirchen" village wines. Reported to have minimal tolerance of drought conditions. Smell or taste sensation reminiscent of spices. Tasting term to describe a wine which gives an impression as if spices had been added during production (they weren't, of course). Gewurztraminer is the wine variety which is most often referred to as naturally spicy. German tasting term for wines made by spontaneous fermentation versus wines inoculated by cultured yeasts. The former has an earthiness versus the cleaner fruit-forward smells of selected yeasts. German term for the taste sensation of a wine which contains just enough CO2 to be apparent on the tongue as a prickly sensation (but not enough to be obviously sparkling). A shortened stub of cane, usually formed by pruning the cane to a length of only two to four nodes (buds). Spurs are obvious in the spring, after pruning but before new growth obscures the pruners' handiwork. thick-skinned grape variety originating in Austria. Any treatment or process which makes a wine stable, ie, unlikely to suffer physical, chemical or microbial change on the shelf at a later time. The word (in every English speaking country but America) for "stems." In the U.S., stalks means the big stuff (like corn stalks). But in England, stalks can be little, too. Grape stems = grape stalks and an American "stemmy" tasting wine is a "stalky" tasting wine in England. See stemmy. The rachis, or skeletal remains of a grape bunch or cluster after the grapes have been removed. Often during grape crushing the rachis gets broken, allowing bits of stem to remain in the must during fermentation. These bits of stem make up part of the cap in a red fermenter and part of the pomace after the new wine is drained from the tank. Generally, the stems in a fermentation are undesirable because they can supply "bitter" tannin to the liquid. This type of bitterness is difficult to remove by fining. See stalks. Taste sensation of mixed "green and bitter" caused by the wine having been fermented in the presence of too many stems (called stalks in Britain). See stems. Wine which is not sparkling, ie, does not contain significant carbon dioxide in solution. Tiny openings on the undersides of grape leaves through which pass air and water into, and out of, the leaf. A fermentation which stops prematurely and refuses to start up again even though fermentable sugar still remains in the liquid. Called "chaptalization" in France and most other countries, sugaring is the addition of common sugar to fermenting grape juice or must for the purpose of raising the eventual alcohol content in the wine. Illegal in California, sugaring is usually needed only in very cool climates (or very cool vintages) in which the fruit fails to achieve full ripeness naturally. The dissolved form of sulfur dioxide. A pungent gas used in wine to inhibit wild yeast growth, to protect wine from air oxidation and to inhibit browning in juice and wine. Pure sulfur dioxide gas has the pungent smell of burned (or burning) match heads. Fortunately, nobody has to use more than a few parts per million in wine. If done properly, the sulfur dioxide in wine is unnoticeable. 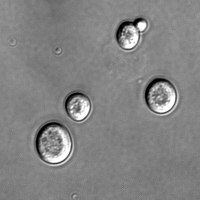 Most yeasts produce sulfur dioxide on their own during growth and fermentation. Thus, wine virtually always contains traces of sulfur dioxide whether the winemaker adds it or not. The chemistry of sulfur dioxide in wine is complex and the compound exists in two primary forms: "free" and "combined." It is only the free form that is active, and able to inhibit microbial growth and protect the longevity of the wine. Likewise, only the free form has been shown to have an adverse effect on health under certain, exaggerated conditions. 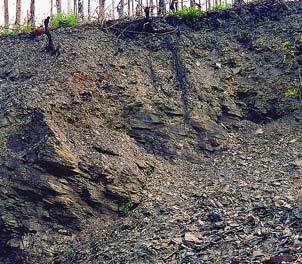 A large percentage of added free sulfur dioxide reacts with various components and becomes "combined" as soon as it is added to wine. Therefore, it is necessary to add more sulfur dioxide than is desired, in order to keep the required amount of "free" in solution. For example, if the winemaker requires, say, 15 ppm of free sulfur dioxide in the wine, he might add 50 ppm. At least 35 of the fifty becomes combined, (and unavailable chemically to preserve the wine). Since both free and combined sulfur dioxide show up in lab analysis, his analysis shows that the wine contains 50 ppm. However, only 15 ppm is truly there in a reactive form. As the wine ages, more of the free combines, so that it is doubtful whether any free at all occurs in most wines after, perhaps, four or five years of aging. But the analysis will still show about 50 ppm! Many old wines which contain no free sulfur dioxide at all still show analyses of 100 ppm! This situation gives a good deal of freedom to those who wish to exaggerate the sulfur dioxide content of table wines in public statements for their own agendas. To date, no human deaths or serious illnesses have ever been found to be caused by the minor amounts of sulfur dioxide contained in commercial table wine. See Sulfite. The taste sensation of sugar. In wine, several things other than sugar can combine to make a wine taste "sweet." For example, one wine may taste sweet in comparison with another wine if it simply contains less acid. Alcohol in a totally dry wine often gives the wine a sweetish taste, as if sugar had been added. (White grape) Widely grown in the Alsace region of France, Germany and Central Europe. Suited to temperate zones, the vine is high yielding and the grape produces an "easy" white wine with lightly spicy, floral flavours and mild intensity. It has also been crossed with the latter grape to yield the Muller-Thurgau hybrid grape and another hybrid version called Scheurebe as well as several other crossings of a similar nature. Up to a few years ago, Silvaner was the dominant grape variety in Germany. Nowadays it is only grown in the most favourable locations especially in the Kaiserstuhl district. The wines have a fine fruit, are light in acid and have a delicate bouquet. There are about 6,500 ha grown. The grape variety probably came from Austria and is also known in Germany as the Oesterreicher.